Bishop (Dr) Godday Iboyi Okokporo, JP, is General Overseer, Promise Kingdom Ministry Inc. Worldwide, aka Overflow Chapel, with headquarters in Sapele, Delta State. 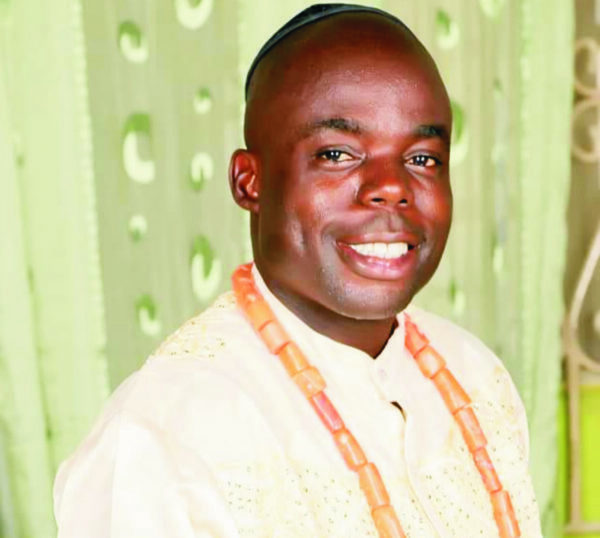 Okokporo, who turns 43 today, is also the ‘Prophet of Okpe Kingdom’ and President-General of Okpe Christian Council. In the past two weeks, it has been merriment in Sapele as residents, whose lives he has touched, lined up series of events to celebrate him. He spoke to Sunday Vanguard in an interview last Monday. Excerpts: Winning souls God has really been using me to reach out to many lives; we have won many souls, populated the kingdom of heaven and depopulated the kingdom of hell because my primary assignment and mission is to win souls for the kingdom. This is what we have been doing for the past 18 years. My ministry is into taking care of widows and the less privileged. Over 100 persons are on our scholarship, we also have the prisons ministry and if you go to the Sapele Prisons, they will tell you of our impact. The Controller-General of Prisons even wrote me more than five times through the Deputy Controller -General of Sapele Prison appreciating me for reaching out to people in the prison. Every month, we give substantial part of our tithes to the prison to support them and, even during my last year’s birthday, we took a day off to go the prison. We also go to orphanages and lepers to render assistance and prepare them for the kingdom of God. I never wanted to be a pastor It was a difficult task. When I was small, people told me about a pastor who came from Guyana. My mother was in Accra, Ghana then, she was born there. At eight years old when she went for crusade, a man of God from Guyana walked towards my grandmother, the late Madam Agbeyo Idisi, and told her that ‘this little girl you are carrying will give birth to a child, number three among her children and he is going to be great and he will help humanity. ‘When this child is born, take care of him very well and he will try to run away from his calling, but God will handle him and he will come back to Him just as Jonah did in the scripture’. My mum left Ghana and, after many years, she got married to Mr Iboyi Okokporo. After giving birth to the first child, Vero, she is now married to Ezekiel Eyarefe. She gave birth to Keffe Iboyi, my immediate elder brother and then me. So my grandmother said the prophesied child had been born and took me away. People started asking why and she said a prophet gave prophesy to her about the child many years ago, but I went through a lot of challenges from the very first day my mother got pregnant to when she gave birth to me. On April 14, 1976, when l was born, people thought I would not survive. It took me five years and three weeks to walk. It was obvious the devil was playing pranks on me, which is why, if I see anybody in problem, I use my last resources to help him. My life is a living testimony from day one. My father died some years later and my mum, after doing her best, died too. My father was a priest of the Alleluia Church and I grew up there. Alleluia church was brought to Nigeria by Evangelist John from America on February 2, 1954 and the name was later changed to Full Gospel. My father renounced his faith because the church was not doing well, we also did. Many years later, another man of God rose to take over the ministry, Pastor Peter Efemini, now Reverend Peter Efemini, he is now under me. God used him to organize a crusade and, before that crusade, the late Evangelist Cousin Mosheshe and Mimiyerijesu came to the community and prophesied that God was going to use me. They said I was going to be a very great man of God. They prayed for me and left, but I was not convinced. My thought was that pastors do not do well. A day later, Jesus appeared to me and said “my son, I am the one that spoke through my prophet from Guyana that you are going to be a great prophet and I am going to use you though it is not your will, let my will prevail”. I woke up, it was a dream. I left the community and went to Port Harcourt to stay with a friend for about a month. I was there when the dream came again. God told me to go home or you will die. I refused. Then I was involved in an accident and I almost died. I worked in Nigeria Dredging and Marine. I was a former rubber merchant and also palm oil dealer. I also worked at Songhai Delta. God gave me money. At the age of 19, I already had over N4m in my bank account. So when the calling came, the little money I saved, about N15m million, I used it to buy land for the church. I ran into problems. My businesses then were not progressing. I will pray and pray and somebody will appear before me in my dream and say “you cannot run away from me, so come back to your Maker”. There are three types of pastors: Those God called and their arrival was announced by God, those who followed leaders because of their willingness to serve God and God used them, and those who just love the calling, the way pastors dress (these are the people causing confusion in the today because they do not have the spirit of God fully in them). This is why I could not join politics because God said if I play politics, they will paint me black. I asked God whether politicians are not righteous and He said Christians, minor prophets can play politics but major prophets should not; even in the Bible they did not play politics. Then I came home and another crusade came and the Lord said “go to that crusade because I want to make another relationship with you”. I went to the crusade and I re-gave my life to God, so the pastor started taking care of me. From there, I became children’s teacher. Later, l joined the choir and from there l became youth leader, choir leader, assistant pastor doing before God called me again. The Lord said “I am going to use you to do great work and your ministry is going to be Promised Kingdom Ministry Incorporated Worldwide, aka Overflow Chapel”. I asked, “what is Overflow Chapel?” The Lord said Overflow Chapel is from John 23 verse 5, which says ‘I will prepare a table before you in the presence of your enemies, and your cup will overflow’ and He told me that anyone who believes in me, out of his belly shall flow rivers of living water. He said the ministry was going to be overflow of healing, overflow of deliverance, overflow of everything and that is how the ministry started. How God finally got me So this great man of God, Rev Peter Efemini, who God finally used in converting me told me that God said he should come and work under me, that once a man is under a king, no matter the bead the man is wearing, he is still under the king. He said I should not be afraid that I am carrying the crown, which was why he left Full Gospel where he trained me, nurtured me and brought me up to Promise Kingdom. Reverend Efemini is still working with me now. I re-ordained him. He is now a Bishop-elect and, as I am moving to Archbishop now, he will be the next Bishop. Our ministry officially started on September 26, 2002 and we used to go from village to village. People would say “come to the city” and I would say “no, if everybody goes to the city, who will preach to the people in the villages?” And when people saw the anointing, the healing of the blind, they said this is real. There were so many miracles then, so they started trying to take me out of the community. But the king said, “My son, if you leave now, you know we do not have any major prophet in Okpe Kingdom, please stay with us.” He had to use everything. I became the ‘Prophet of the kingdom’ and then the President-General of Okpe Christian Council. I am in charge of over 3,000 ministers in Sapele and Okpe. We have branches in the kingdom before we started taking the ministry out of Delta. We are now in Edo State and Abuja branch will open in May. Abduction We have been praying about the issue of Sapele and that is why in past years, we organized crusades, seminars, to educate our youths. Yes, there was a time in Sapele that you could not fgo around freely without running into kidnappers. It is true that l was abducted on November 30, 2015, at about 9.25 pm, because they discovered that God is using me to reduce crime in the society. Some evil people decided to kidnap me after they discovered that occultists and native doctors in Sapele were coming to give their lives to Christ. I have used my hands to burn 340 shrines, we broke some building used for idol worship, and they met and decided to stop my activities. They tried physical and spiritual things, no way, so they finally decided to kidnap me. When the kidnappers came, they told me that their mission was to kill me. One of them said l was a big man, “so let us take him away and demand a ransom of N100 million. They took me away to a forest. Six of them actually came to the house to abduct me but in the forest, I counted 21 of them. God showed that He is God. I prayed to Him that if it was Him, Jehovah, that called me, that all the kidnappers should go blind, while providing a way of escape for me. Even me that prayed the prayer was amazed. I was seeing them but they could no longer see me. They now started begging me to help them, saying, ‘Man of God, we know you are a powerful man, please pray to God that our eyes should open’. My king and others brought soldiers into the forest and they were shooting into the air to intimidate them to run away and leave me. I think what God did in response to my prayer was to prepare the way for my rescuers. They ran in different directions as they heard the overwhelming gunshots. I perceive that in the race for death and life, God opened their eyes, but they did not run in the direction the shots were coming from. Since they had run away, I started shouting for the search party to know the direction of where I was. When I came back and people heard the story of what happened, many gave their lives to Christ. I do not even know today whether the kidnappers were among those who gave their lives to Christ. If you do not know, God does his things in mysterious ways. Now, we have been doing our best to make sure Sapele is safe. Most of the people-causing problems in Sapele are not from here and we are still trying so that, with one voice, we can achieve our aim. Devil fights back Besides the kidnapping, demonic forces almost killed all my children. Four of them took ill and were admitted in hospital at the same time because I am into deliverance ministry. Every Wednesday, people come for deliverance from all parts of the world. Those that are barren, people who have problems in their educational life, those addicted to smoking, doing drugs, and so on come for the service. When God delivers them, the demons start fighting back, sometimes my cars will just go up in flames. Some days ago, three generators packed up. Last year, a generator blew up. That was the devil fighting back, but God will tell me the reasons for such happenings and tell me not to worry about them. If anybody tells you that the ministry is easy, it is a lie. What pastors go through sometimes is hell. We go through pains. When you rescue a man from the devil, be rest assured the devil will not rest. The problem with Sapele We have one problem in Sapele, disunity. Inside that disunity, we have discrimination, then that spirit of “it is not my business”. Many in Sapele still have this spirit of pull him down, they will do anything to pull you down, even in politics, we see them too. I was the President of Amukpe Christian Council for six years, about 38 denominations. I just handed over to Reverend Bukeno of Christ Chosen Church and we are trying to conquer these problems. Sapele is backward spiritually and in everything. Look at our only seaport, it is not functioning. AT&P is dead, Eternit is gone, and Life Flour Mill is struggling to stay afloat, but we are praying that things should move on. Thank God for Governor Ifeanyi Okowa. He really tried for Sapele. He is the only governor who has made us understand that Sapele is still a place to remember. In his first tenure, he really tried for Sapele. We pray that he does more in his second tenure. Sapele is, however, growing spiritually now, all we need is unity to move Sapele ahead, and prayers to make it recover its lost glory.